A popular adage in Washington, DC is, "The President proposes, the Congress disposes." On March 11th, the President released his Fiscal Year 2020 budget outlining the Administration's spending priorities for the coming fiscal year. The release of the budget proposal has become somewhat of a political ritual more so than an essential fiscal function of government. Both sides of the political aisle use the budget for political purposes. But at the end of the day, the budget is just that: a funding proposal. The Associates Club is a program designed primarily for individuals seeking to support CFSI’s mission to educate members of Congress about the challenges facing our nation’s one million first responders. 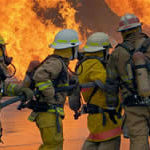 The CFSI Corporate Partners Program is a six-tiered program offering an array of special benefits that enable companies to enhance their involvement and exposure in the fire and emergency services at the national level. 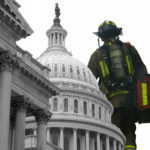 Follow Congressional Fire Services Institute to stay up-to-date with news, articles and jobs. Click here.